I am not the biggest fan of interleague play. I get why it is interesting but after close to twenty years, it just feels played out to me. I’m sure for some it still has its appeal, just not for me. All that being said, I was excited for this three game series. The Royals would be going up against one of the best teams in the National League, a team that I’ve often referred to as ‘The National League Royals’. There are many similarities between the two teams, so it was almost a guarantee this series would be a fun one. Luckily for us, it was not only an exciting three games but it also went to the Royals as they won it, two games to one. Time now to see just how everything went down in these three games that were all sold out at ‘The K’. 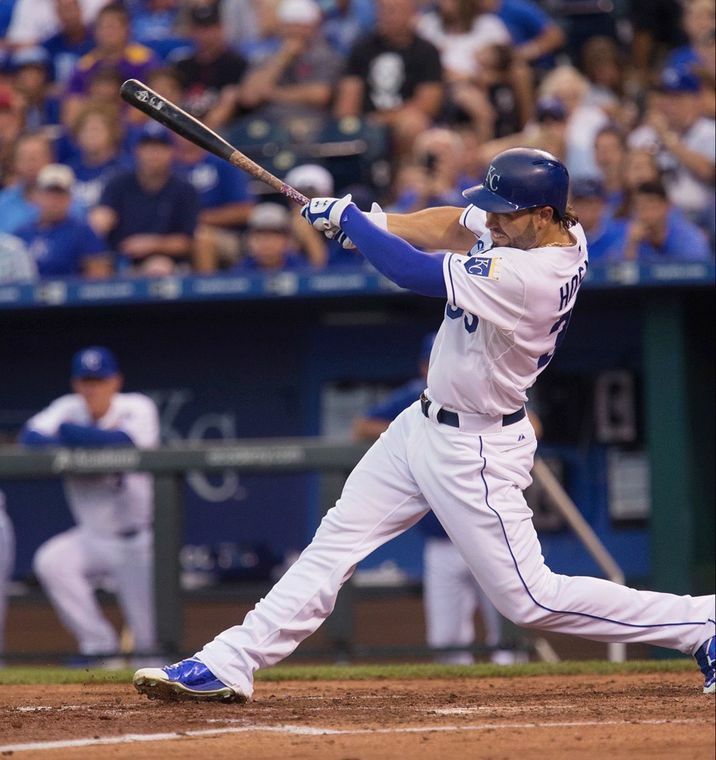 Eric Hosmer went 101 at-bats between home runs. 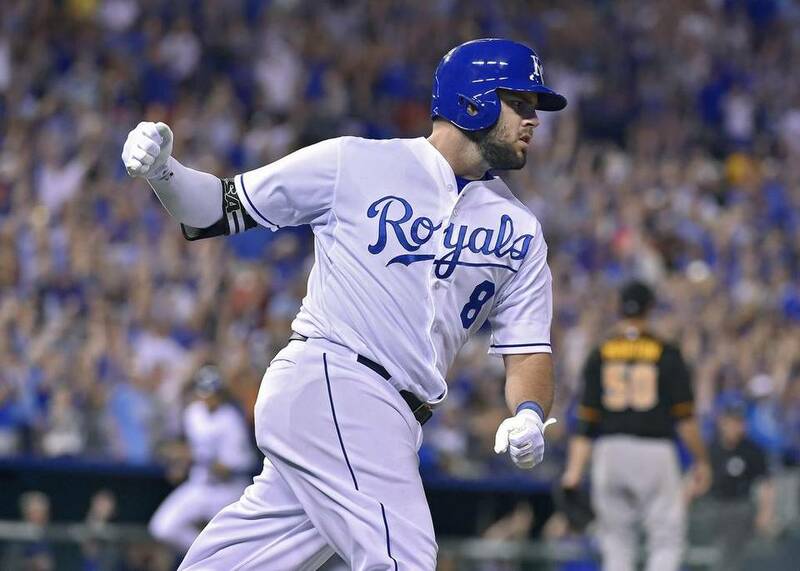 I don’t think I will ever tell you that how Hosmer goes, so go the Royals. What I can tell you is that this offense is better when Hosmer becomes a force in the middle of this lineup. Right now, he is front and center when it comes to Royals producing for this team. 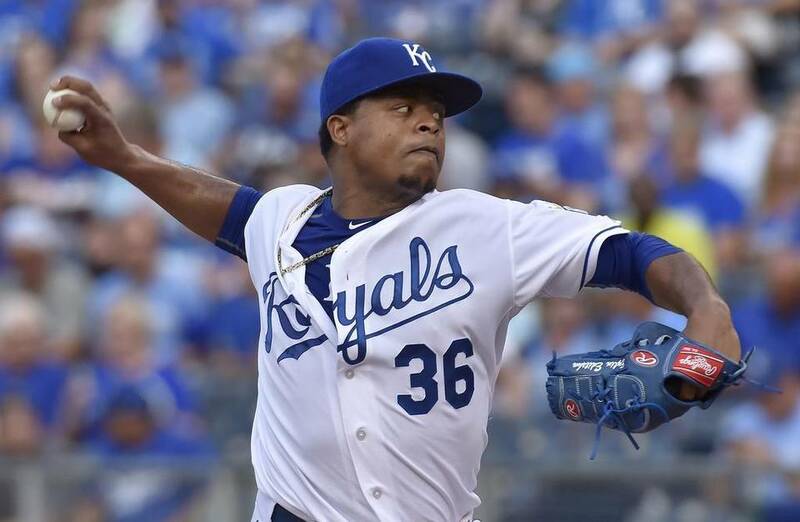 Edinson Volquez at 2 years and $20 million was an excellent signing by the #Royals. He's been their best starter this season. ‘Easy Eddie’ put forth another solid effort on Wednesday, pitching into the 8th inning, going 7. 2 innings, giving up 8 hits and 1 run while walking 1 and striking out 8. Volquez figured out early that Pittsburgh was having a hard time hitting his slider and he took advantage of that factor. It’s scary to think how bad this rotation’s numbers would be if you threw out Volquez’s stats. He has been vital for this team, saving the bullpen with an effort that garnered him a 66 game score, one of his better scores of the year. Volquez still has his days where he struggles with his control, but the majority of the time he is on his game and would have to be a lock for a starting spot when/if the Royals reach the playoffs. I might not always agree with Dayton’s offensive signings, but pitching-wise he has been a pitching prophet these last two years. Medlen says he's not in a position to care what role he has in the pen, just happy to be back. "I'm not worried about all that other stuff." More troubling news: Jason Vargas has torn his UCL. That generally requires Tommy John surgery. This also pushes up the need for another starting pitcher for the Royals, with names like Cueto, Gallardo and Price being bandied around. My guess is we see a lower level starter than that, more on the level of a Mike Leake or Aaron Harang. The one definite is that the Royals will need more pitching and need it soon. The one positive of Vargas’ injury is that it gave Joe Blanton a chance to shine on Tuesday night. Blanton came in after Vargas left and threw like a man who knew he could be a roster casualty at any moment. Blanton went 3.2 innings, giving up 2 hits and no runs while while walking none and striking out 5. Not only did Blanton strike out 5, but he struck out the first 4 batters he faced! I think at this point in the season we can’t expect Blanton to throw like this every outing, but he has value and showed it on Tuesday. I think if he can moderate his lows a bit more he has a spot on this team and could stick around through the rest of the season. I am not the biggest fan of the bunt, but when done correctly I am all for it and think it can be a huge weapon. Dyson bunting is a huge weapon within itself and it was done to perfection on Wednesday. One thing that manager Ned Yost has done this season compared to early last year is his ability to put a player in a situation that plays to his strength and letting him help the ballclub with this positive aspect of their game. Both situations were almost tailor made for Dyson and shows that a player just needs to be put in a situation where he can succeed. Don’t worry; Salvy always gets his man! Finally, I have to say what a great crop of players Pittsburgh has. We got to see Gerrit Cole pitch a great game, Andrew McCutchen showed why he is one of the top players in the game and Starling Marte threw Eric Hosmer out at second base as Hos was trying to stretch a single into a double. 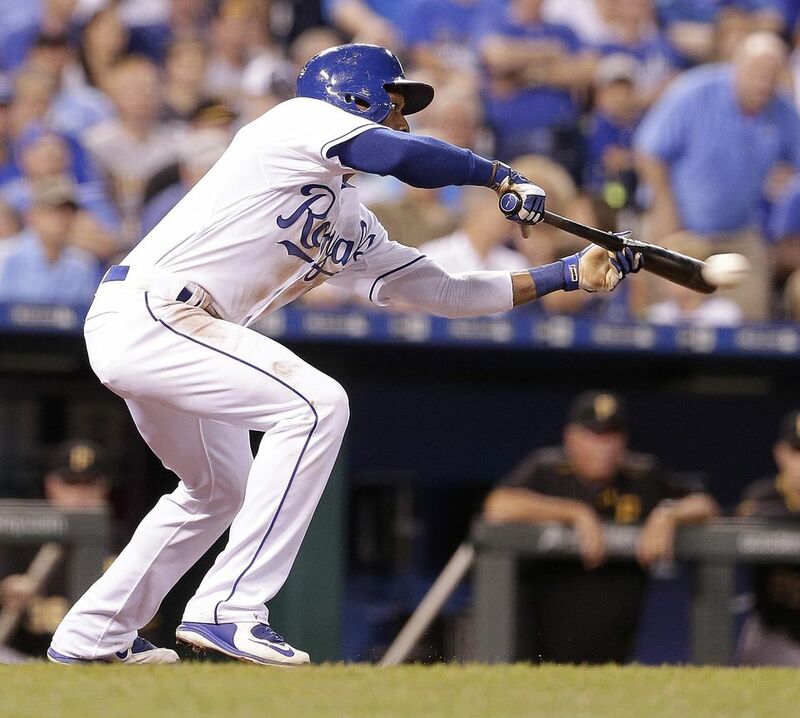 I know it is still a ways away, but a Pirates/Royals World Series would be a lot of fun and would be great for these two organizations that have seen so much bad baseball over the last 20+ seasons.
.@Royals fall to 42-5 since beginning of 2013 when collecting 10+ hits and 2+ home runs in same game. Typically a great formula. Updated MLB hard-hit rate leaderboard. 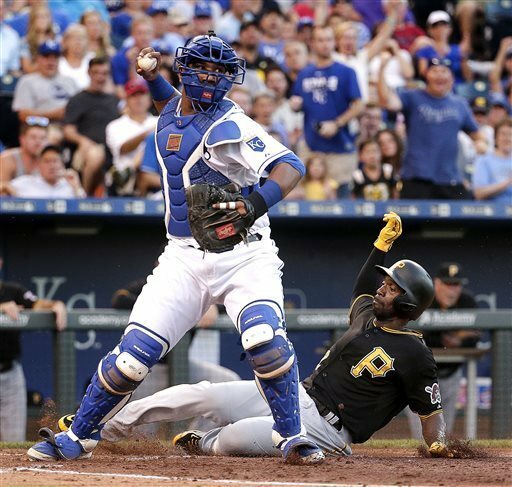 Lorenzo Cain is on pace to have a 9 WAR season. There have been just 22 such seasons by position players since the work stoppage in 1994. Perspective: The 2015 @Royals would have to lose every single game the rest of the year (including today) to match the 2005 @Royals record. Things I didn't predict: Kendrys Morales is tied for the AL RBI lead. Another series down, another series won by the boys in blue. Ever since late September it has felt like we are watching a dream sequence of this Royals team and I am going to wake up and find out it was all a dream. That is how good they have played and how night and day it is to a lot of last year. The Royals now have a funky next couple of days. First, they will play a make-up game on Thursday against the Cardinals, then Houston rides into Kansas City for three games at Kauffman Stadium. Houston has acquired Scott Kazmir from Oakland and the Royals have had some problems against him this year, so I’m sure not looking forward to seeing him and Dallas Keuchel throw against Kansas City. Hopefully the Royals can show Houston the same hospitality that the Astros showed the Royals earlier this year in Houston. Now is not the time to pump the brakes on the train; let’s keep the win train rolling right through the weekend! Hos was overdue for some good offense. Sure was good to see him get some in. I hope he keeps it up…he doesn’t ever seem to have much of an in between at the plate.